“On The Come Up” is a series in which we highlight an up and coming skier each week. Some of you may recognize them but for many, the name won’t ring a bell. Either way, one thing’s for sure, you’re going to be hearing a lot more of that name in the near future. 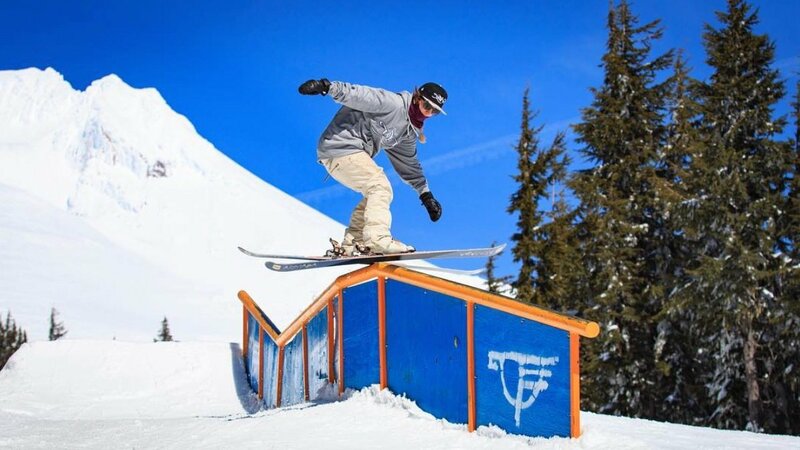 Brooklyn Poirot is all over the place throughout the year, whether that’s up north in Alaska, spinning summer laps on Mt. Hood, or bouncing back and forth from the streets and slopes of Summit County, you can bet she’s always getting up to something good. Hanging up the snowboard for a pair of skis only a few years back, coming this far in such a short time proves this can only be the beginning. Brooklyn is a smooth skier. Putting in the work, she can often be seen hiking street and park rails until she gets that trick. And no doubt it’s paying off. Gone are the days of stiff legs, this skier is living proof that women’s skiing is progressing into a new era of not only technicality, but style as well. Ski slides, fastplants, and switch tails variations are just a few out of her deep bag of tricks. To her, skiing is "just being able to always try something new and scare yourself a little. That's what makes it fun, being hesitant at first to try something, becoming comfortable enough doing it that it becomes natural, and then always being able to take it one step further." One thing we tend to do too much is single out women’s skiing, like it is something completely separate from ‘real’ skiing. “That was good for a girl.” “That wouldn’t hold up in a men’s comp.” Are just some of the many phrases that we hear in reference to women's skiing, but Brooklyn is debunking these claims hit after hit. This is where she stands out, because she is innovating tricks that are unique to skiing as a whole. The ski slide one hand truck driver is a trick that seems to come natural to her, one that you don’t see too many other people pulling off, not even the guys. Money can be tight in skiing, even for the big names, so it's no question that it's tough for skiers still climbing the ropes. Many are known to do odd jobs during both the winter and off-season to facilitate their skiing habits. No stranger to this lifestyle, Brooklyn states on the matter, "My boyfriend and I purse seine for salmon in the summer here in Alaska. Sometimes that gives me enough money to be able to just ski but generally I get a job in the winter time as well. I worked at a dispensary in Breck for a few winters, and worked at Timberline a fair bit. I'm definitely glad to have had winter jobs though cause I met a lot of really cool people that I wouldn't have otherwise." Seeing as all the footage above is from last and the one before last season, we can only hope to see what goods Brooklyn will have to show this time around.